All homes currently listed for sale in the zip code 91701 as of 04/22/2019 are shown below. You can change the search criteria at any time by pressing the 'Change Search' button below. "Welcome to Silver Ridge by Manning Homes. 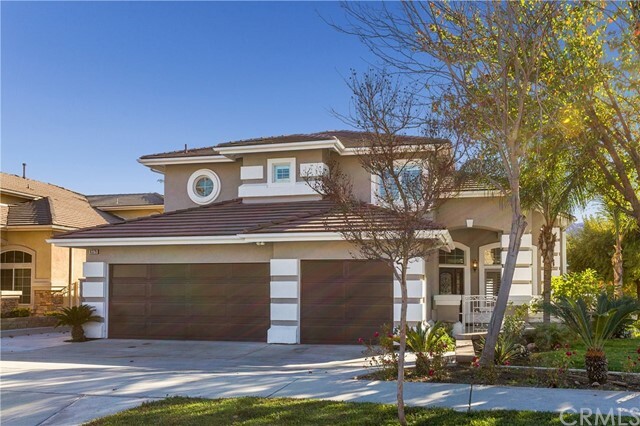 An intimate enclave of 19 newly constructed luxury homes in the beautiful historic Alta Loma community of Rancho Cucamonga. 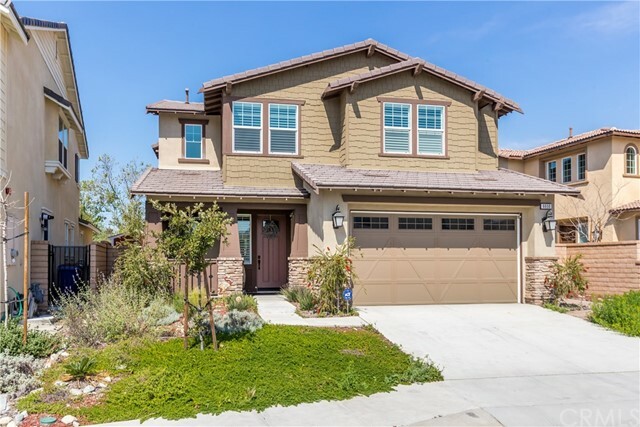 This two story, approximately 3,527 square foot 5 bedroom, 4.5 bathroom homes showcases truly exciting architecture with a fresh and spacious open floorplan. The Residence Two s elegantly designed exterior adds curb appeal, flowing into the welcoming foyer and spectacular dining room and great room beyond. The well-equipped kitchen showcases all KitchenAid appliances, a large center island with breakfast bar, plenty of counter and cabinet space, a sizeable walk-in pantry, a convenient home management center, and bright breakfast nook. The desirable covered outdoor living space and spacious yard are accessible by beautiful 12 foot sliding glass doors. The elegant master bedroom suite is highlighted by high ceilings, huge walk-in closet, and deluxe master bath with dual vanities, large soaking tub, luxe shower with seat, and private water closet. The generous secondary bedrooms each feature roomy closets, and are central to the desirable loft. Additional highlights include a tranquil courtyard off the dining room, luxury appointments, large 3 car garage, downstairs bedroom suite with full bath, an abundance of storage/linen closets throughout, large centrally located laundry, and convenient powder room. Optional Guest suite is available.PHOTOS SHOWN ARE OF MODEL HOME AND MAY NOT REPRESENT LISTED PRODUCTION HOME." " Unlike anything on the market today. That s what people are saying about this Custom residence in the Alta Loma foothills portion of Rancho Cucamonga. Builder Don Benson took extraordinary care in his design and construction here. Step through the Indonesian Cherrywood front door and you ll realize that everything here is custom and one-of-a-kind. The crystal Chandelier overhead is a masterpiece. Step down into the Living Room and you can see yourself welcoming friends or family for a night of fun & entertainment. The rock Fireplace & Mantle in the Family Room are reminiscent of a mountain lodge and the Wet Bar will test the skills of your family mixologist. Family dining area has an overview of the covered Patio and Backyard. The Kitchen features Granite countertops, tons of cabinet space and a pass-thru window to the Formal Dining Room. Coffered ceiling in the Dining Room sets the stage for elegance. Oh, the parties you ll host here! Bedroom #1 is downstairs, currently seeing use as a Home Office (with a great view!). Master Suite is an elegant and peaceful respite. Master Bathroom features a dual sink vanity, huge Roman tub and separate Shower. Outside we see the large Gated RV area from the Driveway, space for all your toys here! And there s also much room to roam for your kids & pets. The Bridle Trail behind the home will come in handy if you enjoy equestrian amenities. Make time to visit this lovely home today. You ll be glad you did! 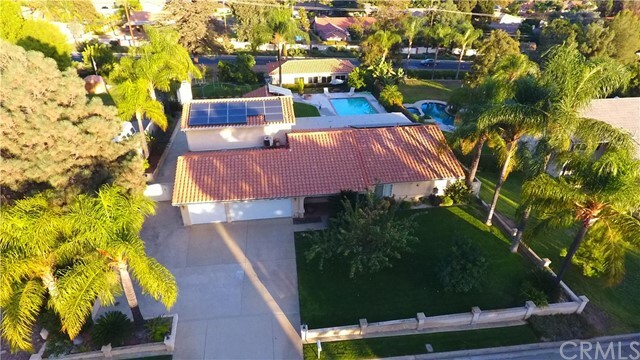 Call us for a personal tour"
"This Executive home is perfectly located in the hills of Alta Loma. Double door entry welcomes you to this gorgeous home.The open entry-level and main floor flow with beautiful hardwood floors, connecting the living room area with its gas fireplace and the formal dining room. Views of the Mountains can be enjoyed from the living room. Continue into the grand Chef s kitchen, featuring top-of-the-line appliances, custom cabinets, High-end stainless appliances, and Granite counter tops. Beautiful Breakfast bar overlooks the Kitchen and Family room. The living room and family room each feature an elegant fireplace. The dramatic stairways lead to the private bedroom suites on the upper level. Master Bedroom is spacious and bright, Doors have custom Shutters the open up to the balcony giving this the perfect view of the Yard and city. One bedroom is located downstairs with a complete Restroom. Home boosts City Light views from family room, Master bedroom and Upstairs mother in law/Bonus room. Master bathroom includes sunken Bathtub complete with walk-in Closest. The second-floor bonus room has been expanded for use as a billiards/game room/Mother-in-Law Suite. 3 car garage has an additional attached workshop area. The yard is stunning features Covered Patio, Built-in BBQ, RV parking, and a sparkling pool and spa. 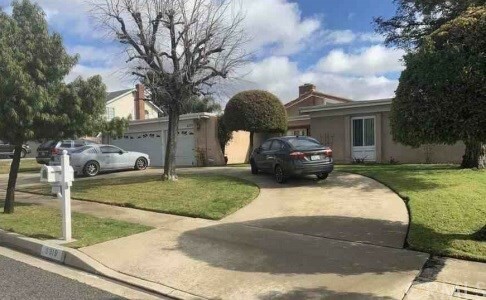 Oversized lot with Complete privacy and tons of space for Toys, Cars." "Welcome to this beautiful home by D.R Horn. Build in 2017, it offers more than you expected in a new home. Featuring 4 bedrooms and 3.5 baths with a bonus room upstairs. The downstairs in-law suite is a very desirable feature. The house comes with tons of upgrades. Laminate flooring through out, plantation shutters, upgraded carpet, 8' doors, large kitchen island with gorgeous backsplash, huge master bedroom deck overlooking the Keyon Park with views of the mountains. 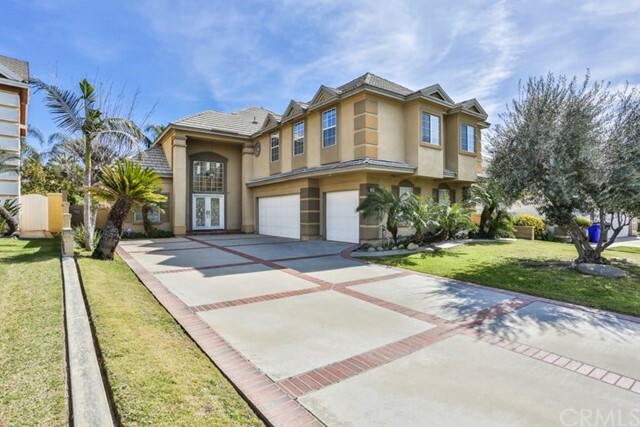 Conveniently located just minutes from 210 fwy and walking distance to vineyard marketplace. Superb school district : Carleton P. Lightfoot Elementary School(rated 9), Day Creek Intermediate School (rated 10), Rancho Cucamonga High School (rated 9). NO HOA, Low tax rate." 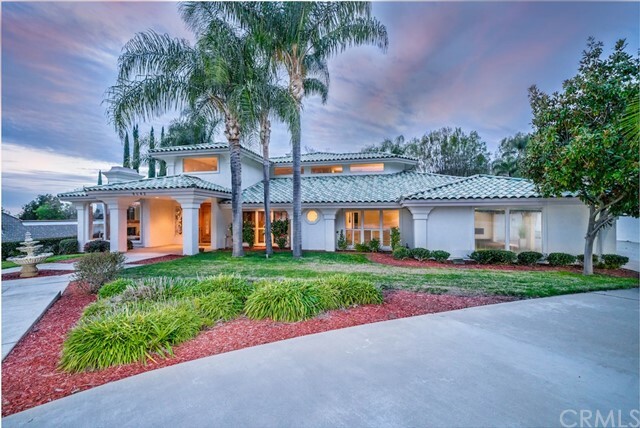 "* ABSOLUTELY STUNNING RIGHT HERE IN A PRESTIGIOUS AREA OF ALTA LOMA, SITTING ON A PRIVATE 20,000 SF LOT SURROUNDED BY PALM TREES!! * THE AMENITIES ARE ENDLESS, TO INCLUDE STUNNING POOL, BASKETBALL COURT, 1000 SF SEPARATE/PRIVATE BUILDING RIGHT IN THE BACKYARD, CAN BE USED AS A GYM OR TURNED INTO GUEST HOME FOR FAMILY AND FRIENDS (CURRENTLY HAS FULL BATHROOM) * TWO MASTER BEDROOMS, ONE WITH A GORGEOUS BALCONY OVERLOOKING YOUR BACKYARD RETREAT* KITCHEN UPGRADED WITH STUNNING DARK GRANITE COUNTERTOPS & RICH DARK CABINETS, EXTRA LARGE DOUBLE DOOR STAINLESS STEEL REFRIGERATOR, STAINLESS STEEL DISHWASHER AND OVEN * SPACIOUS OFFICE WITH LARGE AMOUNT OF BUILDING WOOD CABINETS WITH GLASS DOORS * PLANTATION SHUTTERS THROUGHOUT* ENTERTAIN GUESTS IN THE SPRAWLING BACKYARD WHICH HAS BUILT IN BBQ, REFRIGERATOR & OVEN PERFECT FOR THAT CULINARY ARTIST IN YOUR FAMILY * 3 CAR GARAGE * RV PARKING * COME HOME AND ENJOY THIS OASIS!! SOLAR PAID IN FULL!!" "Just in time for the HOLIDAYS! 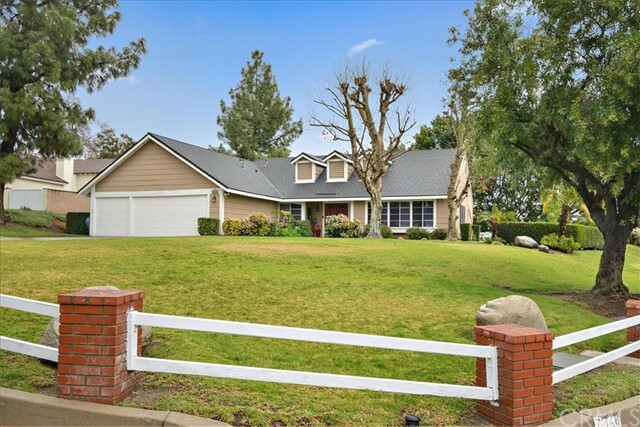 Wonderful opportunity to own a beautifully maintained single story home on a half- acre that is zoned for horses and has 2 separate RV parking areas. Enter into this home with 5 bedrooms, 2 baths and an open floor plan where there is a wealth of space to entertain or relax with friends and family. Enjoy newer solid vinyl waterproof plank flooring throughout the house for easy care and wonderful look. A separate living room and dining room along with family room and kitchen all waiting for you to call this HOME. The backyard is perfect for entertaining with a pool and spa, BBQ Island, manicured landscaping with an abundance of fruit trees, including avocado, fig, and various citrus trees. The views of the city lights are to the south and of the mountains to the north. An air conditioned green house is just another feature to enjoy along with a large storage shed. 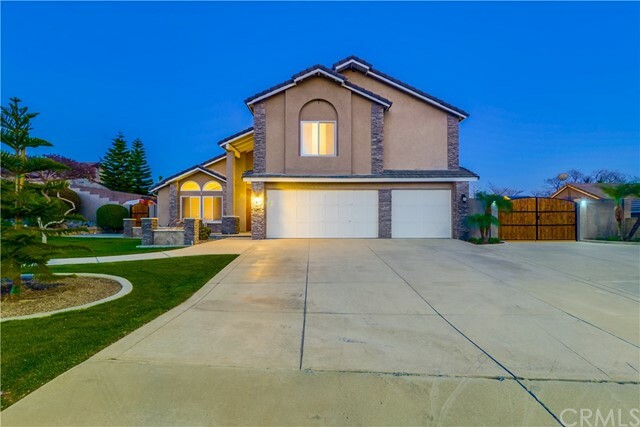 Plenty of storage in the house and garage round out this beautiful home. Conveniently located to shopping, and the 210 freeway for commuting." "Welcome to 5650 Sapphire... An entertainers dream! Outside you will be greeted by the beautiful water fountain and mini vineyard. Step inside the single story 4 bedroom, 2 bath home including large dining room & separate laundry room. The 2,237 s/f home has been beautifully updated inside and out. The open floor plan features a kitchen with granite counter tops, custom stained cabinets, top of the line appliances including 6 burner Viking Stove, side by side oversized Frigidaire Refrigerator and Freezer, stainless steel farmhouse sink, walk in pantry & more! Additionally the home boasts, LVT flooring, Plantation shutters, & custom murals throughout. Other upgrades include a tankless water heater, upgraded electrical panel, & LED lighting. In the backyard you will find the stamped concrete patio along with a beautifully renovated Entertaining Barn, an alumawood patio cover equipped with ceiling fans and lighting, furthermore, a vegetable garden, chicken coop, and bird aviary. Don't miss out on this terrific home!" "Welcome to this charming single-story turnkey Ranch Style pool home with picturesque mountain views. 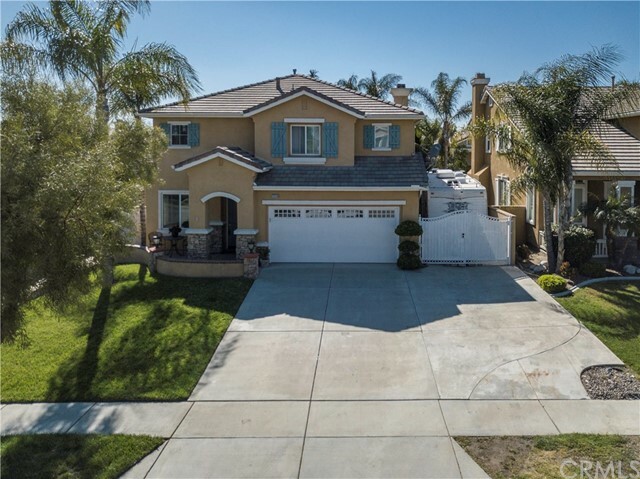 Located in the desirable city of Rancho Cucamonga (Alta Loma), this home boast warmth, comfort and an inviting floor plan. Featuring 4 bedrooms /3 baths with 2,720 sqft of living space and a lot size of just over 3/4 acre. The property has updated kitchen cabinets with granite countertops, hardwood floors, upgraded bathrooms and much more. Back yard has a large patio off the master, a pool/spa, basketball court and private access to the horse trail. This home is extremely clean and very well maintained. Great entertaining home for that growing family to enjoy year-round. 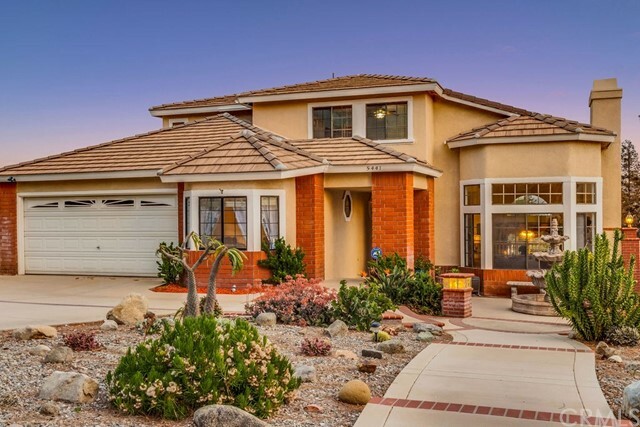 Close to award winning schools, shopping (less than 5 minutes to the Colonies Crossroads Shopping) and easy access to Freeways. Not too often are homes in this neighborhood available for sale." "Luxurious, two-story home that shows like a model with its high ceilings, beautiful flooring and neutral colors throughout! Featuring 4 large bedrooms upstairs, 4 full bathrooms, an office on the first floor with windows, and laundry room. The downstairs open floor plan seamlessly incorporates the entry hall, naturally lit living room with a fireplace, large dining room, modern kitchen with breakfast nook, family room, and full downstairs bathroom. On the second floor you are welcomed by the master suite with a walk-in closet and beautifully, large bathroom [separate bath & shower, dual sinks with vanity]. The private backyard is easy-to-maintain, fully fenced with a large covered patio. The perfect home for entertaining family & friends. 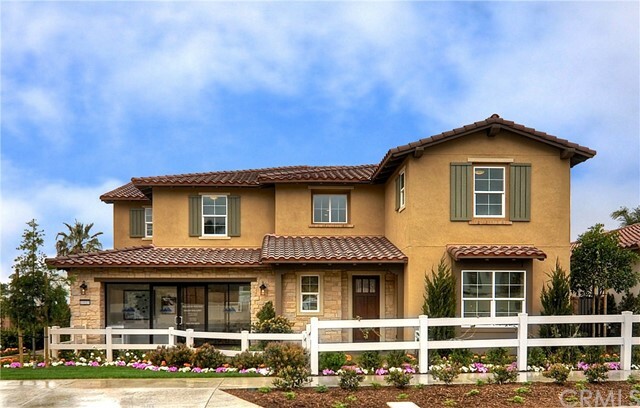 Conveniently close to schools, country club, shopping, and easy freeway access. CALL TODAY for a private showing!!" 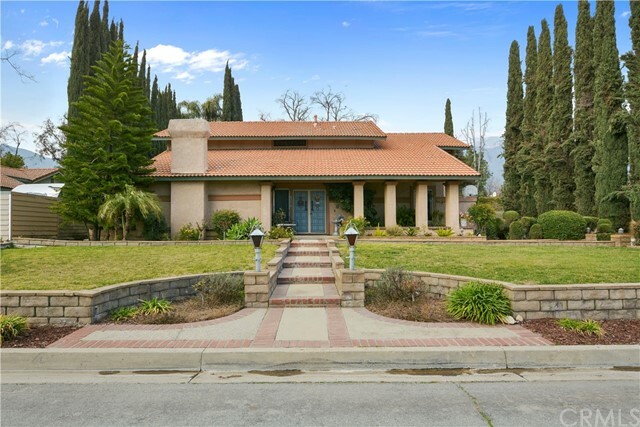 "WONDERFUL HORSE PROPERTY IN RANCHO CUCAMONGA BORDERING ALTA LOMA. AMAZING GROUNDS FOR ANIMALS FEATURING COVERED STALLS FOR YOUR HORSES WITH TACK ROOM AND IT EVEN HAS DIRECT ACCESS TO THE RIDING TRAILS. HUGE KOI POND AND TURTLE POND. PLENTY OF FRUIT TREES OVER EIGHT DIFFERENT KINDS AND RELAXING SITTING AREA TO LISTEN TO THE WATER FEATURE. RV ACCESS GIVES YOU LOTS OF ROOM FOR YOUR TOYS. WE ARE ONLY MINUTES AWAY FROM HERITAGE PARK WHICH HAS PUBLIC HORSE RIDING FACILITIES. HUMANS ARE WELCOME AS WELL! THIS BEAUTIFUL THREE BEDROOM TWO AND A HALF BATH HOME BOASTS NON SCRATCHING SIMULATED HARDWOOD FLOORS AND HIGH CEILINGS FOR A NICE FLOWING FEEL. PLENTY OF WINDOWS KEEPS THE HOME OPEN AND CAPTURES LOTS OF LIGHT AND TWO FIREPLACES. KITCHEN HAS BEEN REMODELED WITH GRANITE COUNTER-TOPS AND STAINLESS STEEL APPLIANCES. LARGE MASTER BEDROOM WITH JACUZZI TUB FOR THE ULTIMATE RELAXING SOAK. BONUS ROOM HAS ITS OWN STAIRCASE TO GIVE IT IT'S OWN SPACE. THIS HOME IS READY FOR ITS NEW OWNER AND IS PRICED TO SELL!" 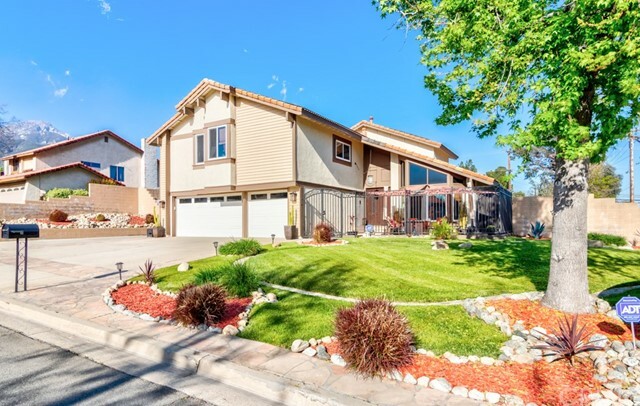 "This Alta Loma home is located on a quiet Cul-de-Sac. 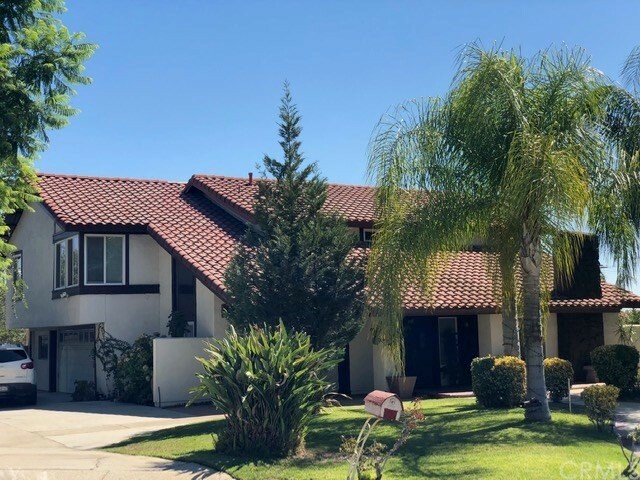 This Beautiful home offers a Remodeled kitchen with New Custom Cabinetry, Granite Counters and glass tile backsplash, New Stainless Steel Appliances with custom 42 inch stainless steel industrial range hood. Also included is a Sunken Living Room, Formal Dining Room, Family room offers glass tiled Fireplace mantel & stone accent wall plus Wet Bar, recessed (LED) lighting & Crown Molding. Upstairs is a very large Master Retreat with an Enclosed Room with a Hot tub. . All 3 bathrooms have been beautifully remodeled. New 20 inch floor tile. Additional upgrades include newer HVAC system, Eco-friendly water heater, newer dual pane windows throughout, all new electrical system & panel & Brand new tinted skylights. This acre lot includes a 3 car garage, gated RV access, Gated front Entry W/ Flagstone Hardscape. New rear Vinyl fence w/gate access to horse trail. Drought tolerant landscape in backyard, with grass area. Perfect location with convenient access to shopping, freeways, walking trails, and Heritage Park." "Gorgeously upgraded Victoria Park pool home. 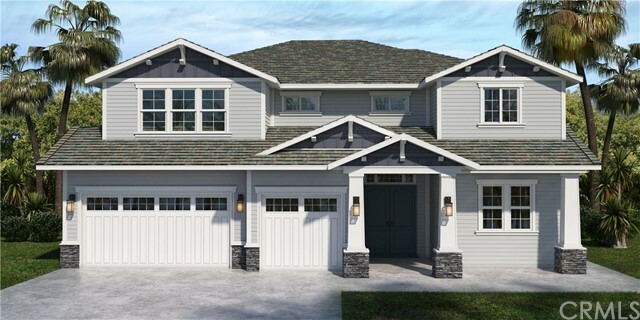 You'll find the house covered in crown moldings, upgraded baseboards and wainscoting that everyone has come to appreciate in the popular and unique Pageantry Home tract by Pulte. Enter the double doors into a vaulted ceiling entry. Stairs are decorated with wrought iron balusters and immediately to your left you'll find a unique set up double doors leading you into a down stairs office. 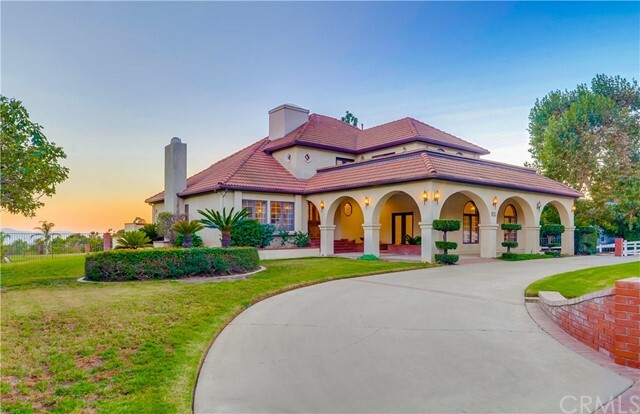 The entry opens to the formal dining in spacious formal living room covered in dark wood flooring and window shutters that you'll find throughout most of the beautiful home. The large family room centerpiece is the gorgeous stacked stone fireplace. Kitchen features Granite kitchen counters and stainless steel appliances. Bathrooms have all been remodeled. Upstairs you'll walk across the large upstairs landing into the double door master bedroom that features a fireplace that warms the bedroom as well as the master bathroom tub. Large brick accented driveway can easily fit 8+ cars. 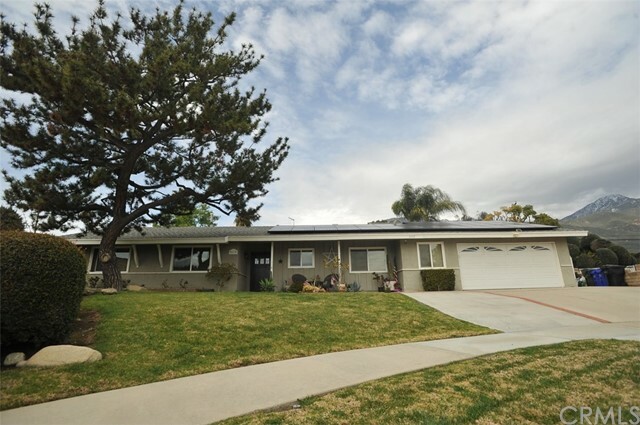 Walking distance to Carleton Lightfoot Elementary and Rancho Cucamonga High School"
"PRIDE OF OWNERSHIP! 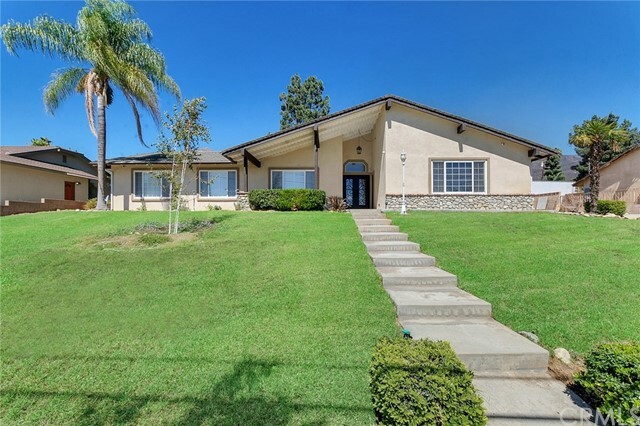 Spacious, single-story home in a highly desirable neighborhood! NO HOA fees! TONS of parking; 3 car garage with a circular driveway for additional parking. Great layout! Large bedrooms! Upgrades include: New roof, new HVAC system, remodeled kitchen, and a permitted bonus room which is currently being used as an office. 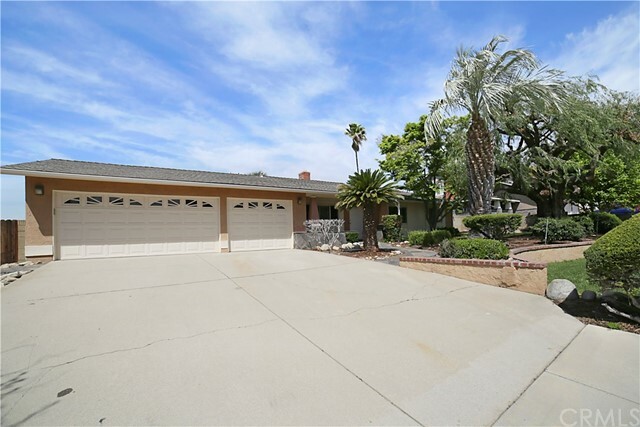 Same owners for over 40yrs, this home has been meticulously maintained. Features: 4 bedrooms 2 full bathrooms; one bathroom in the master suite, the other is in the hallway near the bedrooms. 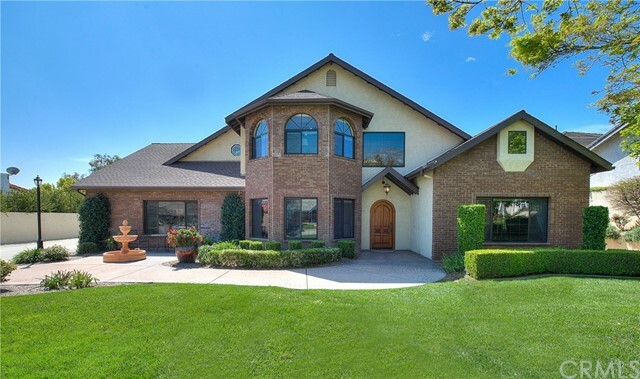 There is over 2200 sq ft of living space, over 10,000 sq ft of land, a 3 car garage, and a gated pool/spa combo in the back yard, and built-in barbecue. There is a family room separate from the living room. The living room features a stunning 3 piece, built-in cabinet set (valued at over $10,000) with glass doors. The living room also has high ceilings with large windows to let in natural light, and a fireplace. Wait until you see this kitchen! It is absolutely loaded with cabinet space - a must-have for anyone who enjoys entertaining company. The cabinets are solid, good quality, oak wood. The counter tops have white tiles. The sink is oversized, and there is a kitchen island and large pantry. 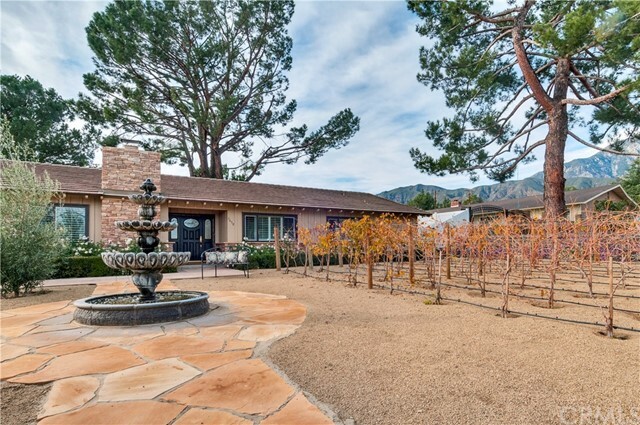 Backyard features a gated pool/spa combo, fruit trees, and multiple storage sheds." 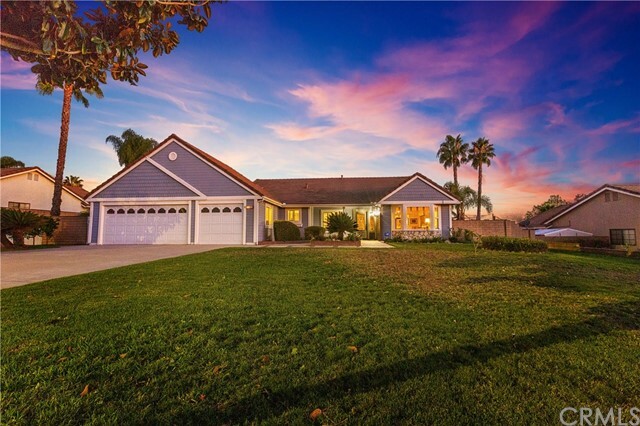 "THIS BEAUTIFUL ETIWANDA SCHOOL DISTRICT HOME LOCATED IN ONE OF RANCHO'S MOST DESIRABLE NEIGHBORHOODS OF VICTORIA. This 5 bedroom (1 bdrm downstairs) 3 bath, loft, RV parking large enough for your fanciest RV (with on-site clean out). This move-in ready home welcomes you with great curb appeal. Stamped concrete walkway leads to the 9 foot entry door. Upon entering you see 20 foot vaulted ceilings with recessed lighting throughout. Home has a very open floor plan with lots of natural light, carpet, Tile, Laminate floors and indoor laundry. Large Downstairs bedroom with 3/4 bath. Kitchen is open to the great room with large Island, granite counter tops, new stainless steel appliances, and walk-in pantry. Great room has cozy fireplace, custom built-in entertainment center and crown molding. Upstairs has a loft that overlooks downstairs living room, 4 large bedrooms, full bath with dual sink. Master bedroom retreat with en-suite has his and her walk-in closet, separate vanities, Spa tub. 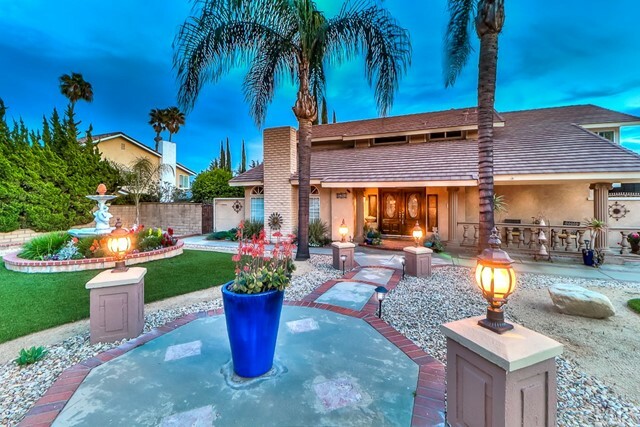 Backyard has large covered patio with Island grill for California year round entertaining. County assessor has property description and sq ft wrong this model had two builder options changing 3rd garage to 5th bedroom w/ 2.75 baths & 1 fireplace (title shows 4 bed 2.5 bath & 2 fireplaces) This home is located steps away from pacific trail walking and bicycle path, walking distance to eateries, grocery stores, banking, Victoria Gardens and it's commuter friendly 1 mile to 210 and 15 FWY'S."